Cameron Smith (right) with his cousin, Eric. The two were like brothers. 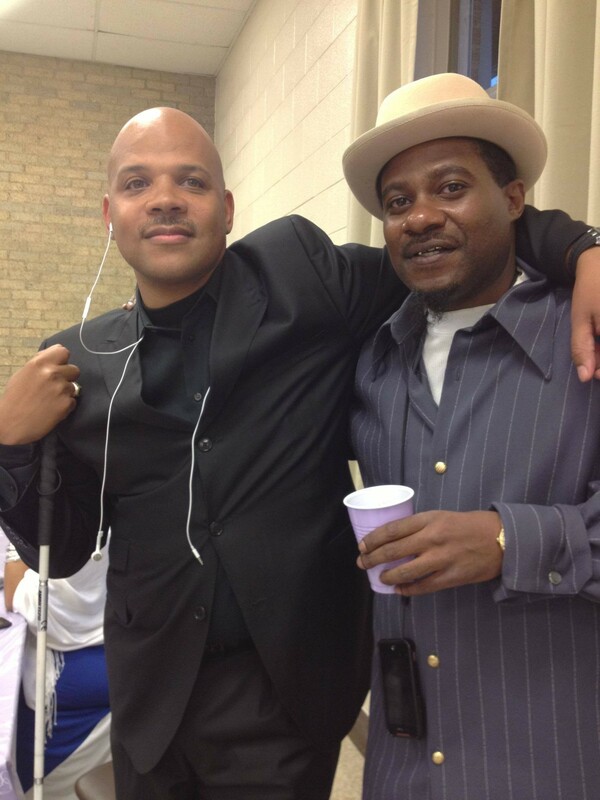 losing his sight, he took him to the movies. The pair saw See No Evil, Hear No Evil, a comedy about a blind man and a deaf man who witness a murder. "He was like 'Easy,' you gotta laugh and not let these things get you down," Smith's cousin, Eric Smith, says, referring to his nickname. He says Cameron's lighthearted reassurance that day, and in the time since, helped him come to terms with his vision loss. That kind of dependability was typical for the man Eric Smith considers a brother. So when news spread that Cameron had been kidnapped, Eric Smith says, the calls came flooding in. "Everybody knew Cam," he says. "He loved his family, the Cleveland Browns and the Michigan Wolverines." Cameron was kidnapped at gunpoint from outside the Cheney marijuana store where he worked earlier this month. The 46-year-old was eating lunch in his car when a disgruntled man fired twice into the driver's side window, according to surveillance footage. The man then got into Cameron's car and drove away with him still inside. Police have arrested the suspect, Donovan Culps, in what appears to be a random act of violence. Culps admitted to killing Cameron during an interview with a local TV news station, saying "I was having a bad day. A very bad day, and he got the ugly side of it." Before he shot Cameron, Culps was reportedly denied entry to the pot shop because he didn't have an ID, employees have said. Police found Cameron's body days later. "He told me he was so happy being in Washington," Eric Smith says now from his home in Atlanta. "He would say 'Easy, man, this is the best move I made. Makin' money, workin' hard. I'm about to have my million by the time I'm 50." The rest of Cameron's family — including his mother and two daughters — are in Spokane and have started a GoFundMe campaign to help pay to have his body brought back to Toledo, Ohio, his hometown. The money will also be used to help Cameron's youngest daughter attend Howard University, Eric Smith says. Contributions reached nearly $9,500 as of Friday morning. A second GoFundMe campaign to help with funeral expenses is up to $6,315 in donations. 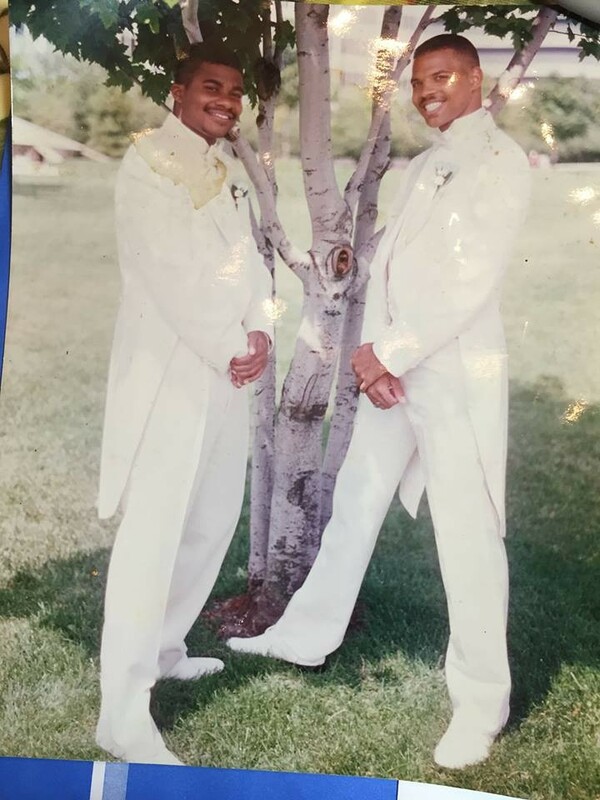 "Me and my brother Chuck (left) 23 years ago Through thick and thin we will always be brothers to the [very end]," Eric Smith writes. Cameron's family has also started a petition to allow firearms to legally be carried near pot shops in Washington (state law currently designates cannabis stores as gun-free zones). "We're asking people to sign the Cameron Smith petition to help add security to areas around recreational shop, so it doesn't happen to anyone else," Eric Smith says. This evening, there will be a memorial and benefit to honor Cameron at downtown Spokane's Unforgiven Lounge (108 N. Washington) from 8 pm to 2 am. Fifty percent of the proceeds from food and liquor sales will go to Cameron's family, according the Facebook event page. "The world is losing a great man," Eric Smith says.